1.2 What are pistachio trees like? 1.3 Where do pistachios live? 1.5 What are pistachio trees used for? 1.8 What are pistachio galls? What are pistachio trees like? 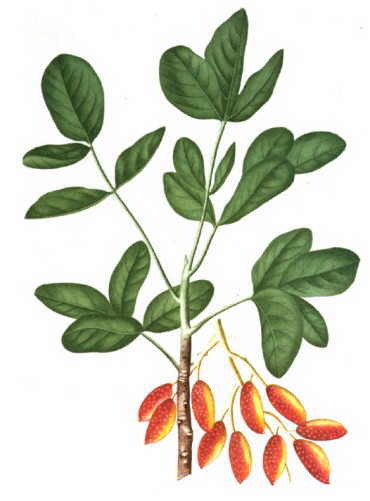 The genus Pistacia contains ten species within the cashew family (Anacardiaceae). They vary from deciduous to evergreen, ranging from trees to shrubs. They have compound leaves, generally imparapinnate, that is to say, with even number of leaflets. Pistachios produce flowers in different trees (dioecious plants). Flowers are very simple and almost unnoticeable. Fruits are generally berries. All of them live in warm-temperate regions of northern hemisphere. They are able to withstand the extreme conditions of the Mediterranean climate where they live. So they are well adapted to the winds, intense heat of summer and cold winter. The degree of resistance goes beyond -10 ° C in winter to over 40 ° C in summer. They can live in sandy soils, even with high salinity. However they do not like the clay soil because it retains water, since they do not tolerate the excess of moisture which is responsible for developing fungal diseases. So they need a loose and well drained soil. 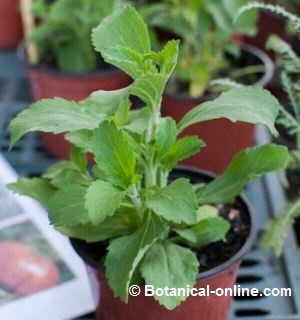 They can be reproduced through seeds in autumn or winter or by grafting. What are pistachio trees used for? – The most known pistachio tree (Pistacia vera) is mainly cultivated to produce pistachios , edible nuts with very distinguished nutritional properties. – Other pistachios are used to deliver resins, gums and oils, such as Turpentine tree (Pistacia terebinthus) from which turpentine is obtained; or mastic tree (Pistacia lentiscus) that produces mastic. – Some of them appear in gardens, streets or squares as ornamental species, for shade in summer or because of their autumn coloured leaves. This is the case of Chinese pistachio (Pistacia chinensis) whose green leaves turn into yellow, scarlet and orange when fall arrives. – From pistachio trees, people from different places obtain wood for fire, material for furnitures or tools. Reddish roots of this plant provide a very showy reddish wood. They have been used to develop numerous figures or for making different objects like knife handles or smokingpipes. – A lot of animals, including livestock, can take profit of their fruits or make use of their leaves or branches to obtain food or water. From and echological point of view, pistachio species play and important role in some environments where other plants can not live. In addition to retaining the soil and protect it from erosion, they are the ideal place where numerous species of animals can shelter. – Pistachio (Pistacia vera) En bosques, junto a la encina al interior y con el algarrobo o el palmito junto a la costa. Siempre en sitios que no sean demasiado fríos.It is the species used to produce the edible fruits, also known as pistachios. – American pistachio (Pistacia mexicana) Native from Mexico, Guatemala and texas. It grows in tropical deciduous forest and dry scrub. Many birds feed on its fruits many birds, such as macaws. They are bluish in color when ripe and are considered edible. – Chinese pistache (Pistacia chinensis): Native from China. It is a deciduous tree, very resistant to frost. Planted in many chinese gardens because it is very drought tolerant and can adapt to any kind of soil. 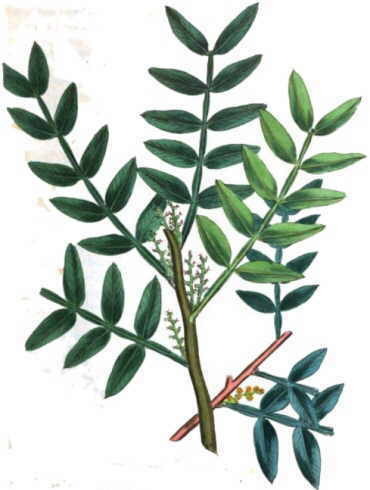 – Lentisc, mastic tree (Pistacia lentiscus): Mastic its a resin that is extracted from this tree. It’s like a gum, that is widely used in drugs such as prosthetics and dental molds up to produce coatings. The fruit is not edible. 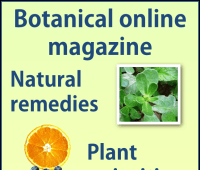 It is used as a medicinal plant with astringent properties. Its wood is used in the furniture industry and its fruits to produce biodiesel. – Terebinth (Pistacia palaestina): Native from the coastal area of Syria, Palestina and Israel: It fits easily in difficult rocky and chalky soils. – Mt. 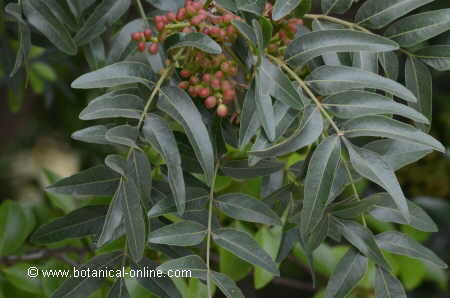 Atlas mastic tree, Persian turpentine tree, (Pistacia atlantica) Its fruits are eaten only occasionally. It is the most resistant in humid climates, among ll varieties. It also resists fungi Verticillium dahliae and Armillaria mellea. – Turpentine tree, terebinth, Cyprus turpentine (Pistacia terebinthus): Native from Canary Island and the Mediterranean coast. 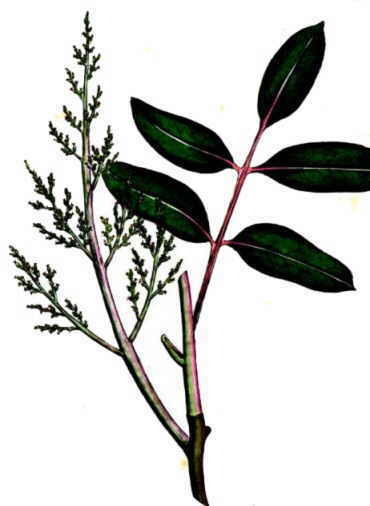 A resin is extracted from its bark (turpentine). It is very productive because it is easily adapted to many types of soils, especially dry, rocky, arid, saline and alkaline. There have been studies that show that the most resistant variety of all against fungi Verticillium dahliae and Armillaria mellea. The pickled inmature fruits or ‘atsjaar’ are delicious. 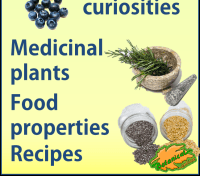 As a medicinal plant it is considered a good remedy against cancer. 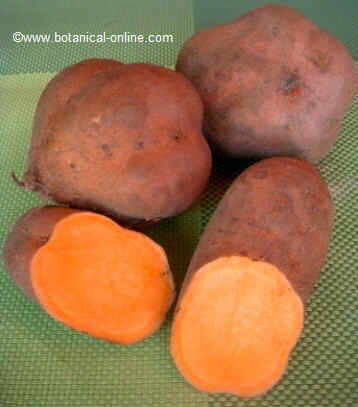 Externally its oil is used as hair oil, for arthritis, as well as for skin fungi and corns. Pistachios are very sensitive to excess of moisture that can be manifested as fungal attacks. The last three varieties seen above and their hybrid versions are the most resistant to fungi, specifically to Verticillium dahliae and Armillaria mellea. Although, we should note that fungi are not the only “aggressors ” for pistachios. They can also be attacked by insect pests and even birds and squirrels. Pistachios are very prone to developing some defensive excrecenses, called galls or cecidia, to protect the plant against attacks by parasites. These lay eggs in these formations and the larvae feed on them instead on the plant tissues. Galls can take different shapes and sizes depending on the different species but they all consist of outgrowths developed in the leaves of these plants where the parasites lodge. – Medicinal Uses: Pistachio galls are very rich in gallic acid, with astringent properties. 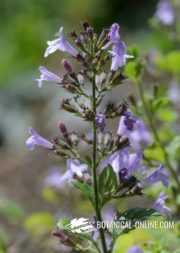 Medicinally, they have been used to combat diarrhea. With the galls of pistachios medicinal preparations are made, such as “wine of cornicabra galls” consistent on macerating for 10 days 3 tablespoons of the mixture of crushed bark and galls in a liter of sherry wine. The resulting liquid is strained and stored in a dark glass bottle. It is used as a rinsing remedy for mouth ulcers or for treating gingivitis. – Kerman (California) is a female tree. 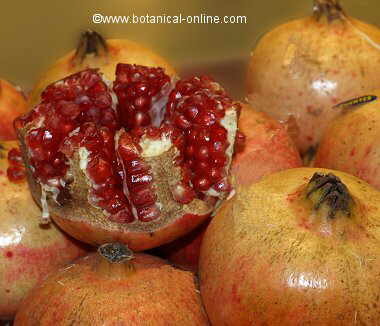 It is grown for its large size, its quality and quantity of seeds, although it produces many empty fruits. It needs very cold winters. 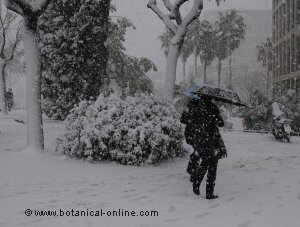 – Peters (US) is a male tree. It is used as pollinator because of its wide range, allowing both pollinating late season female trees as Kerman, as the earliest. Other classes are Mateur (Tunisia), Larnaca (Cyprus), Aegina (Greece), M 502 (from Italy).